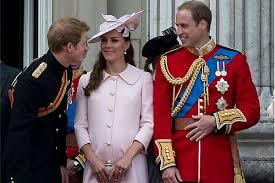 The Royal Baby is a PRINCE –It’s a BOY! It’s a prince! On Monday, the world welcomed the newest addition to the royal family and thefuture heir to England’s throne. Palace officials confirmed the arrival of His Royal Highness the Prince of Cambridge, born at St. Mary’s Hospital at 4:24 PM BST, and weighing 8 lbs 6 oz.. Send your selfie! We’ll post it! This entry was posted in Advice, Kate and William, Royal Baby, The Royal Family, Uncategorized and tagged Buckingham Palace, Catherine Duchess of Cambridge, Kate, Kensington Palace, London, Prince William, Prince William Duke of Cambridge, St Mary's Hospital London by dp@large. Bookmark the permalink.